AGXR hearing aids are designed to adapt to your hearing, helping you experience all the sounds around you as naturally as possible. Working with your brain, AGXR technology separates important speech sounds from background sounds, all without muffling or distorting the noises in the environment. 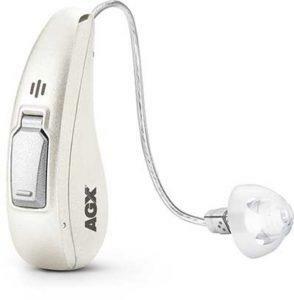 The AGXR hearing aids help you focus on speech and maintaining clear hearing, allowing for clear hearing even in the most complex listening environments like talking with colleagues on a noisy jobsite, or connecting with friends over drinks. Both the AGXR T and the AGXR N have a rechargeable battery option for your peace of mind, knowing your hearing aids won’t run out of power at the moment you need them the most. These devices are also customizable using the BeMore app, and connect your smartphone to your hearing aids to easily stream content from your phone directly to your hearing aids. The AGX9’s premium technology features were designed to help you maintain better hearing with less effort. Whether you are having dinner in a packed restaurant, roaring with the crowd at the big game, or leading an important meeting at work, your AGX9 hearing aids will be there to help you clearly and confidently connect to your world. Because better hearing isn’t just about listening situations, it’s about where those listening situations can take you: a more intimate conversation, a favorite song, or a deeper connection with your community. The AGX7 hearing aid’s advanced technology features were designed to help you cut through moderate background noise and hear the sounds most important to you. In business meetings or at big family gatherings, you’ll be able to focus more easily on the voices you want to hear, and to fully participate in the moments around you rather than having to concentrate to keep up. With AGX7 technology, you’ll be able to live in the moment and be spontaneous without having to think about your hearing. Custom fit for you, the AGX5 hearing aid gives you the reliable technology you need to help you hear more clearly and enjoy conversations without straining to hear and without asking people to repeat themselves. Whether you’re gathered around the fireplace with your family or enjoying an evening out at your favorite local restaurant, you’ll be able to hear the voices that matter most to you, more clearly and with less feedback than you’ve ever experienced with other devices. AGX3 hearing aid technology have custom programs to match your hearing loss and the settings you enjoy most. By helping you communicate more clearly with your family and loved ones, you’ll enjoy stronger relationships — both at home and in your community — and you’ll overcome the feelings of isolation and fatigue that all too often accompany hearing loss. 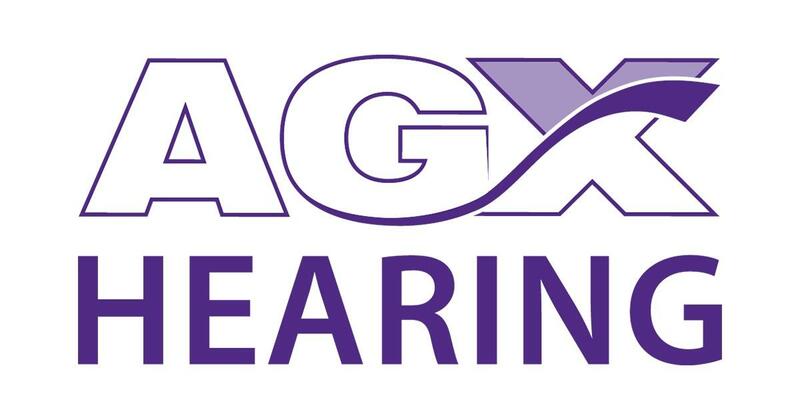 Interested in AGX hearing aids?